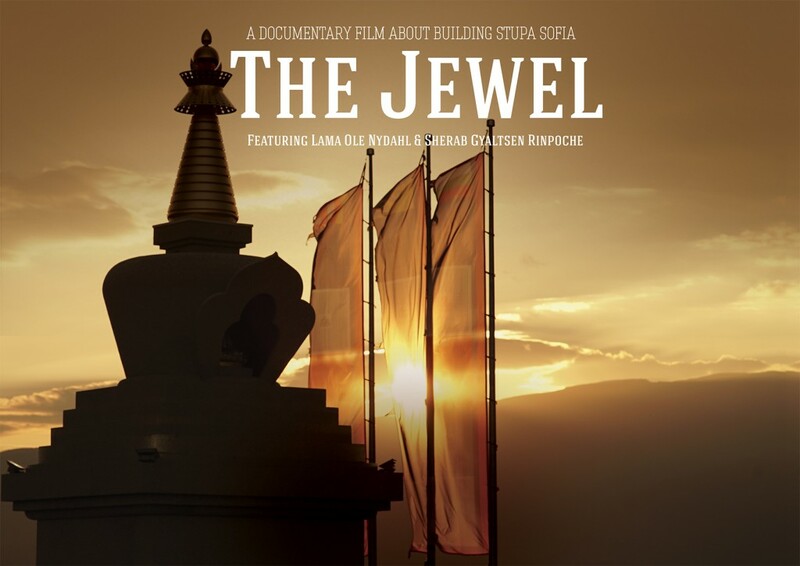 The documentary film The Jewel presents the process of creating Stupa Sofia in its entirety. In an inspiring and understandable way, it tells the story of how stupas have been built in the past, their deep symbolism and the meaning of creating such monuments of enlightenment. The film features interviews with Sherab Gyaltsen Rinpoche, Lama Ole Nydahl, Wojtek Kossowski and Maggie Lehnert-Kossowski. You can purchase the film online. You will receive a download link on your email address. Follow recent news on the film’s Facebook page. Stupa Sofia was built at Retreat Center Plana, Bulgaria, by Diamond Way Buddhism practitioners. Sherab Gyaltsen Rinpoche led the spiritual and practical process of its construction. The stupa was inaugurated by Sherab Gyaltsen Rinpoche and Lama Ole Nydahl on 14 August 2015. Thousands of people have visited it ever since.